What is it about a highly trained celebrity chef slumming it that makes otherwise savvy diners lose their minds? We don’t know, but we intend to find out at the next “Sunday Night Pizza in the Tap Room,” at Colicchio & Sons. On the menu: salads, five “pizzettes,” a daily roast, dessert. 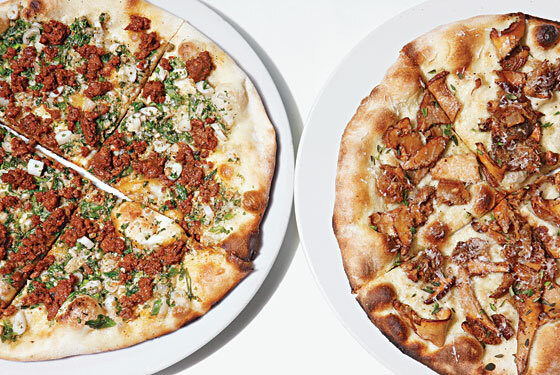 There’s no guarantee that Tom C. himself will personally maneuver a pizzette around the oven’s hot spot, but these days—with Daniel Boulud and Alain Ducasse doling out vittles from trucks—you never know (85 Tenth Ave., at 15th St.; 212-400-6699).